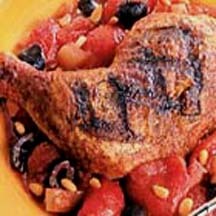 CooksRecipes has quality, kitchen-tested recipes for Spanish chicken dishes that you can count on for successful deliciousness. Two methods of cooking, grilling and stewing, are applied to create this flavorful chicken and chorizo dish developed at the Johnson and Wales University. 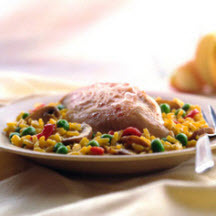 A complete meal in itself, paella is a saffron-flavored Spanish dish made with varying combinations of rice, meat and vegetables. 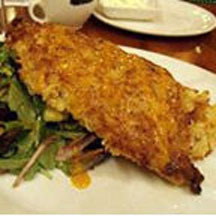 Zesty, orange flavored, almond-crusted baked chicken with a hint of cinnamon.